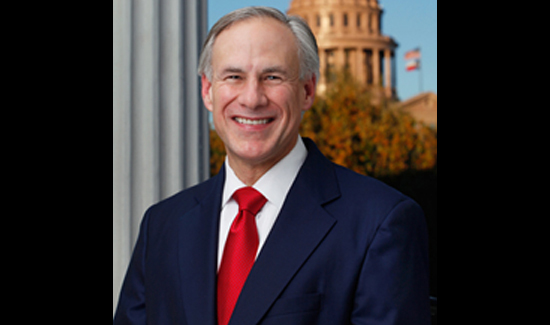 Police associations in Texas are pushing back against Governor Greg Abbott. The Texas Senate passed a bill this week that appears to have driven a wedge between the Texas GOP and one of its key constituencies: law enforcement. “The very livelihood I’ve chosen, it seems the Republican Party is coming after it, and I don’t understand why,” Scott Leeton, president of the Corpus Christi Police Officers Association and a Republican primary voter, told the Observer. Senate Bill 7, which passed largely along party lines with a 19-12 vote, would prohibit public employees from voluntarily having union dues withheld from their paychecks. Leeton and other union members say the ban on automatic deductions — a special session priority set by Governor Greg Abbott — would decrease membership by making payment more difficult. SB 7 carves out exemptions for police, firefighters and emergency medical personnel, yet police associations still oppose it. Senator Bryan Hughes, R-Mineola, argued Tuesday on the Senate floor that his bill would simply remove government from the equation and people would still be “free to join” any group they want. Neither Hughes nor Abbott responded to requests for comment for this story. Democrats on Tuesday questioned Hughes extensively about the bill’s exceptions, which Senator Royce West, D-Dallas, called “discrimination” against teachers and other state employees. Hughes replied that “first responders” receive special treatment in various policy areas, including retirement and death benefits. Hughes added that his “support for the bill would end” if the exemptions for police, firefighter and first responders were removed, and that Abbott would veto any such bill. But police associations aren’t assured. “We truly believe in our heart that if this passes, then two years from now, we’ll be the next ones in line,” said Ken Casady, president of the Austin Police Association, in a committee hearing Sunday, where he was joined in opposition by both Leeton and a representative from the Combined Law Enforcement Association of Texas (CLEAT), the biggest law enforcement group in Texas. During the hearing, a representative of the Texas Public Policy Foundation, an influential and corporate-funded think tank, added fuel to Casady’s fears. The legislation now heads to the House, where an identical bill died in committee during the regular session.